THE LONG GREEN NAZI SHADOW OF ALBERT SPEER, JR. 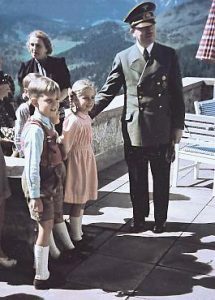 Understandably, Albert Speer Jr. has spent much of his life trying to escape the long shadow of his father, Albert Speer, the Third Reich’s architect during the 1930s who later was baptized as Hitler’s Armaments and War Production Minister during the heights of World War II. 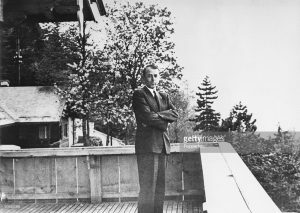 Albert Speer Sr. died in 1981. After serving 20 years in Spandau Prison, Speer made millions off of his best-selling books that described his life deep inside the Third Reich. 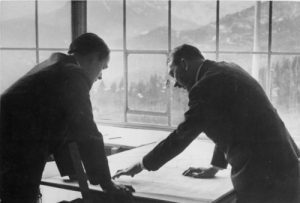 In 1984, Albert Speer Jr. began a very successful architect company in Frankfurt, Germany called AS & P, or Albert Speer & Partners. Today, AS & P is a very profitable high end international architectural company that has building projects in Germany, the Middle East, and in China. Much of Speer Jr.’s earlier financial success in the 1970s took place in Libya, Saudi Arabia, Egypt, and Jordan. Speer Jr. loves the Middle East and Arab culture. He is currently working in Qatar. Qatar was awarded the 2022 World Cup because of Speer Jr.’s audacious plans to design a carbon neutral sustainable arrangement of soccer stadiums. AS & P pursues a holistic approach to architectural design that roots all building activities into the surrounding culture, landscape, and regulatory environment. AS & P proudly advertises its emphasis upon sustainability in the area of ecology, economics, and social quality. AS & P has even published a “Manifesto for Sustainable Cities – Think Local, Act Global.” Albert Speer Jr. is also an international lecturer on environmental sustainability. According to Der Spiegel, Speer Jr. is credited with having introduced the idea of sustainability into German urban planning. Others consider him to be the green conscience of the construction architect industry and one of the first sustainable practitioners of green building in Germany itself. While Speer Jr. has publicly stated he has purposefully tried to place as much distance between himself and his father as possible, this is not exactly true. In reality, Speer Jr. has followed his father’s footsteps, not only in terms of being an architect, but also because of his obsession with sustainable development. In the 1930s, National Socialism spawned the ecological cult of sustainable development. This was particularly true with regard to Nazi sustainable forestry practices, environmental social engineering over private property, and the concept of spatial planning over entire landscapes. While environmental historians often use Hitler’s Four Year economic war plan from 1936-40 to demonstrate the Nazis were not all that green, they have failed, perhaps willfully so, to grasp that it was precisely the tension between green Nazism and Nazi racism that helped usher into the Third Reich what is otherwise known today as sustainable development. Indeed, the extremely popular Nazi slogan “blood and soil” essentially meant sustainable development. 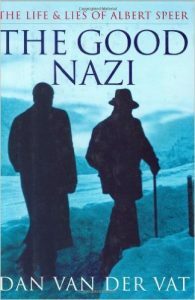 The presumption was that German blood, native to its own soil, would properly develop the fatherland apart from the corrupting influences of the global economy purportedly run by Jews in both Western capitalism and international communism, where the virtues of industry and industrial economy were everywhere extolled as evidences of humanistic progress – values which the Nazis loathed. Green Nazi philosopher Martin Heidegger propounded an authentic Aryan technology that would be healthy and limited by the natural soil in which it was indigenously developed. Such a sustainable technology would prevent it from spinning out of control into a superficial global homogenization alien to local populations. Nazi propaganda chief Joseph Goebbels considered National Socialism to be a “steely” form of “Romanticism.” By this, Goebbels envisaged that German industry, rooted in the romantic fatherland of its natural environs, would be employed to protect the nation from the internationalized industrial rat race that both Western capitalism and international communism had plunged the entire world into together with all of its environmental pollution. Even Dr. Alfred Rosenberg strongly believed in an Aryan form of sustainable technology as did so many other Nazi ideologues. 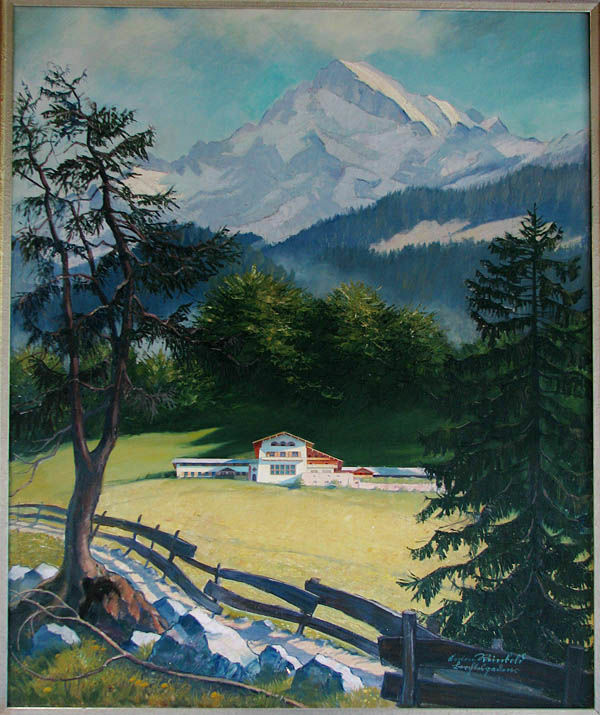 As a young boy, Albert Speer Jr. spent much time at Hitler’s Berghof mountain home in the spectacular Bavarian Alps. In private conversations at the Berghof, the Fuhrer would even speak about the need for environmental sustainability from time to time. In fact, Hitler’s desire for living space, or lebensraum, in the eastern territories of Poland, Ukraine, Belarus, and western Russia, was never divorced from sustainability concerns. 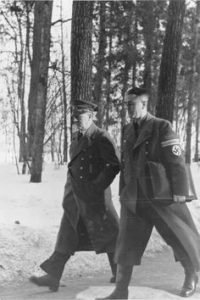 Heinrich Himmler’s sinister SS Generalplan Ost was loaded with environmental sustainability schemes that were to be implemented upon the newly acquired lebensraum the Nazis had seized from the Slavs as World War II initially exploded in their favor. The eastern territories would be depopulated of Jews and Slavs in order to give vast open spaces to invading Germans who would later come to enjoy frontier farms, national parks, forest and hunting preserves, master planned communities, retrofitted sustainable cities, and garden villages. Hitler once confided in Speer Sr. that the newly acquired territories will eventually become a “park of extraordinary beauty.” Yet, the foundation stones of this green sustainable Garden of Eden was to be originally built on an invasive army of panzers and armaments together with all of the ashes spewing forth from death and/or concentration camps like Treblinka, Sobibor, Belzec, Majdanek, Chelmno, and Auschwitz. Albert Speer Jr. knows the true origins of sustainable development. Yet, environmentalism and sustainability under the Third Reich is an area in which proverbial “good” Nazi attitudes could be entertained and maintained even though it is largely a taboo subject to the post-modern Western public that has adopted a green conscience as its new form of ethics. As such, while Nazi racism was evil, Nazi environmentalism was good. This too was learned from Albert Speer Sr. Permission is herewith given to copy and distribute by electronic or physical means as long as it is not sold – the copyright notice is included and credits are given to the author. This article was originally published in April 23, 2016 on the American Thinker.